The last and final stop for our trip was one that I was so excited about. 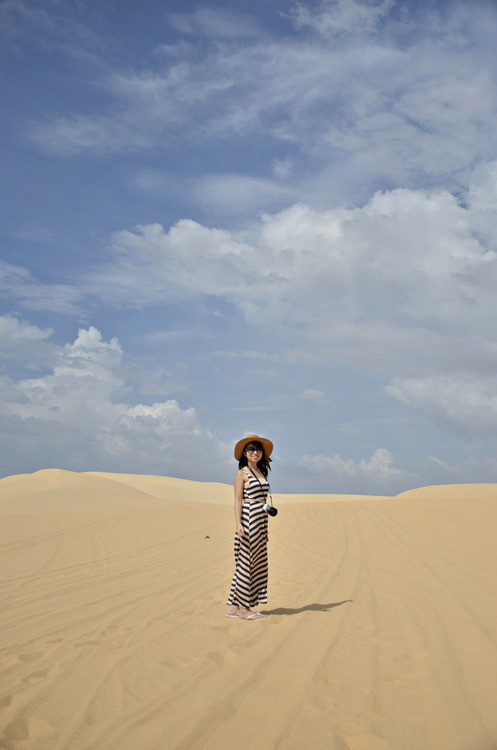 Mui Ne is a coastal resort town (the resorts go on and on and on) located at the Bin Thuan Province of Vietnam. 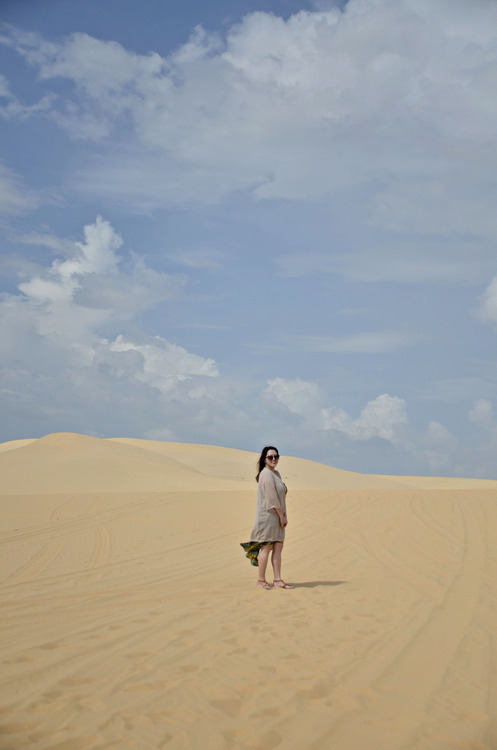 Mui Ne has a special place in my heart and I wish to return to this town, but this time to relax in one of their many resorts! 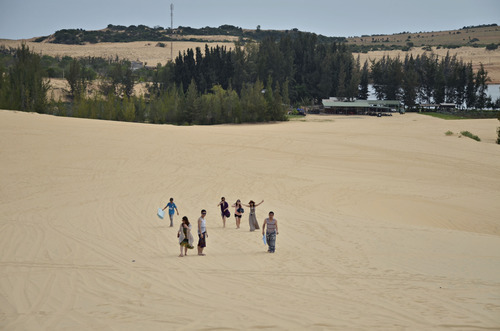 Mui Ne has two sand dune areas to offer to tourists. 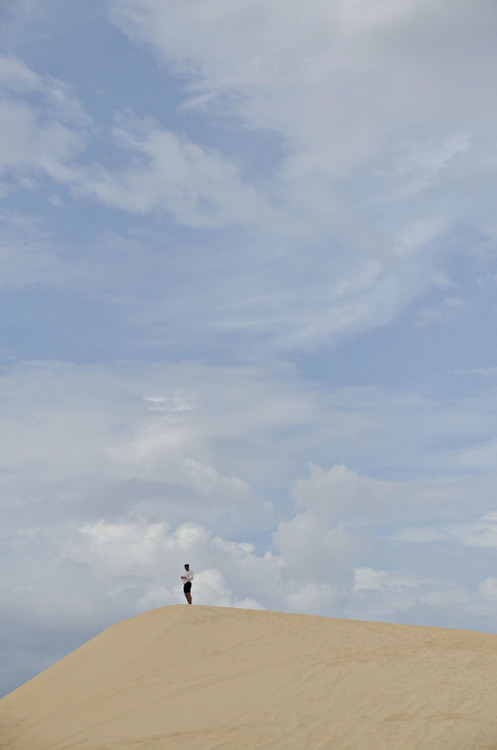 The White Sand Dunes and the Red. We rented out a taxi for a whole day and were lucky to have picked a driver that was very nice, albeit really quiet. 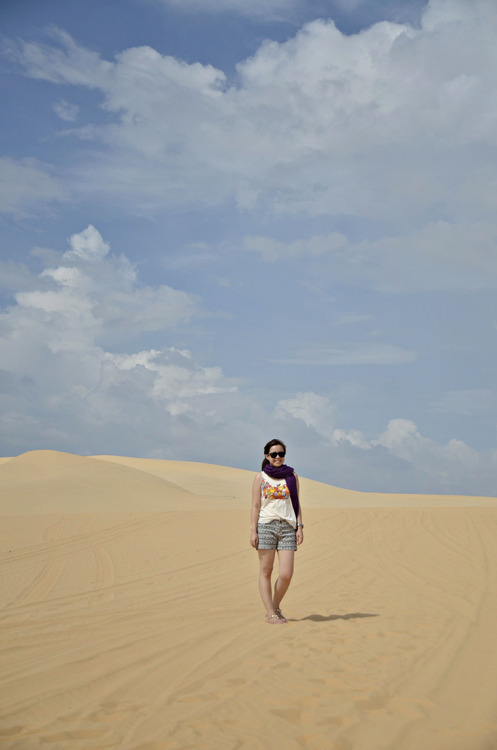 The drive to the white sand dunes was lengthy but the view was breathtaking when we got there. I’ve never been to Dubai but people kept saying it was like a mini-Dubai. 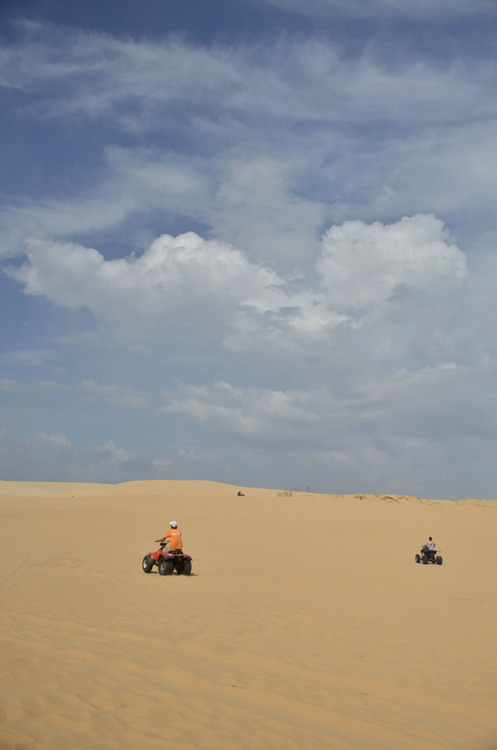 There are a couple of things you could do at the dunes. 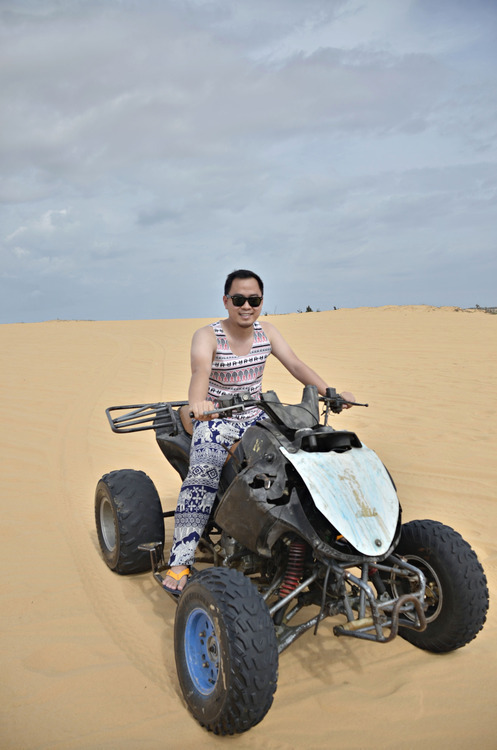 There are dune buggies for rent and there are also boards for rent that you can ride down the slopes on. 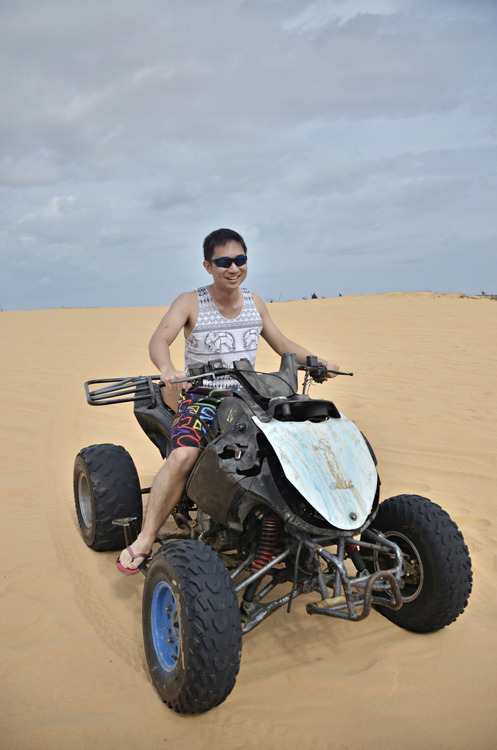 We rented out one dune buggy and took turns riding it. The kid who rented us the buggy drove for all of us and we only found out later that aside from the rental fee, we had to give a tip because he drove for us. And the tip he was asking for was $5!!! What are you, American!? *ehem* We only gave him $3… which is already a VERY thoughtful tip. 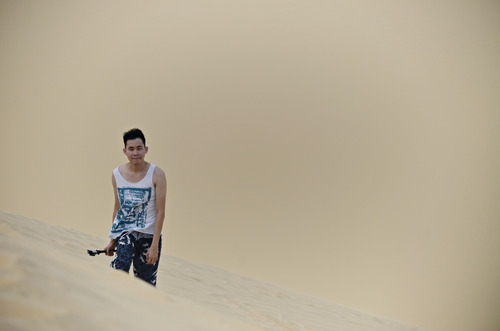 We decided we’d pass on everything rentable from then on and just walk as far as we could into the dunes and have a photoshoot! 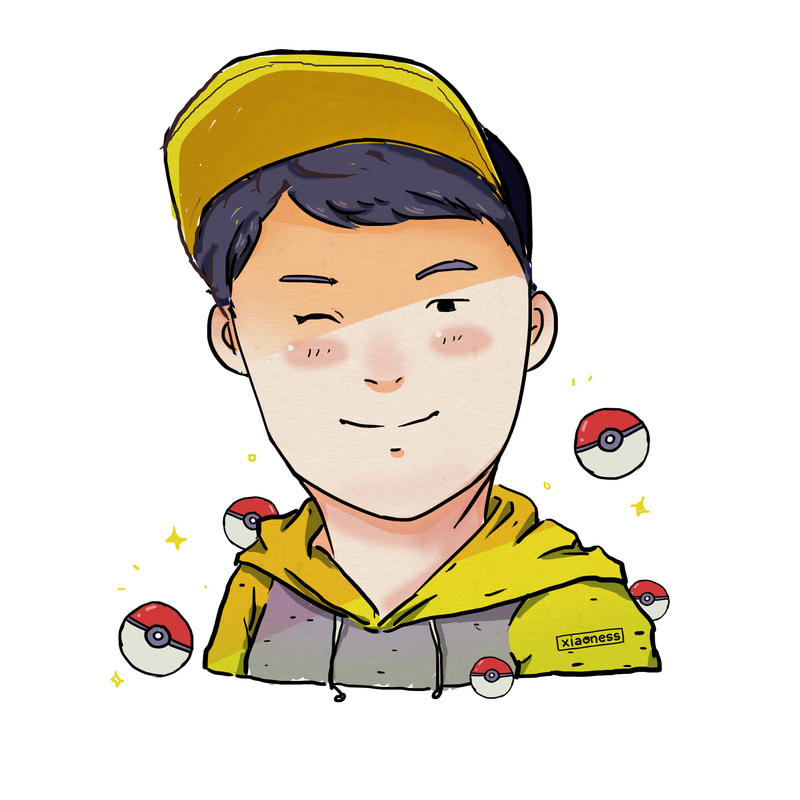 I had my photo taken later than the rest and I think I’ve gotten darker already in that short amount of time! Then the girls did their famous “BFF” pose! The walk back to the taxi was excruciating because we were all so thirsty. I couldn’t even wait for the others and went ahead because I needed a drink so badly. We all talked about how Jesus suffered when he was in the desert for 40 days and nights. Must have been horrible. 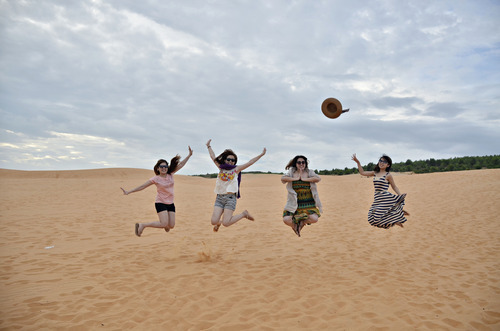 But anyways, after a very tiring day, we all still found the energy to take a few more shots at the Red Sand Dunes. This trip is very memorable and will always be an experience I will look back to. 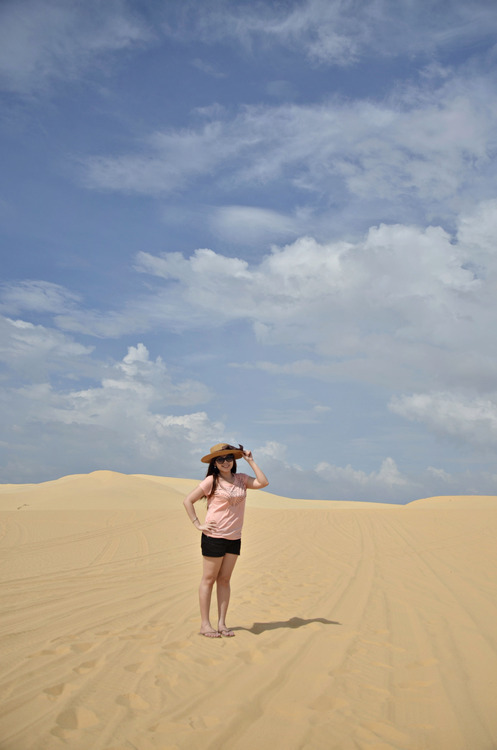 It’s the first time I travelled out of the country without family and solely for vacation! 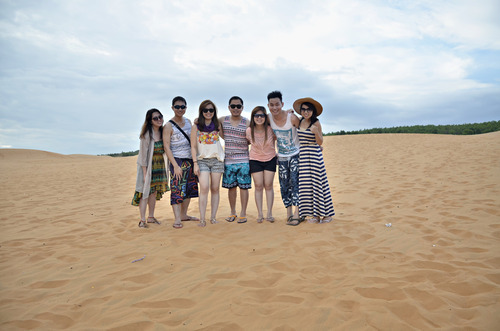 I hope to come back and to travel more with these awesome people! Thanks for making my year memorable and special! ‘Til next time!! !